The HECM reverse mortgage is the “cheese” that is changing. Seems no one likes change mainly because of fear, fear of change and fear of the unknown. But change is a part of life and so we need to accept and adapt. In the book, “Who Moved My Cheese?” by Spencer Johnson, M.D., the characters of this parable, mice Sniff and Scurry, and little people being the size of mice, Hem and Haw, search through a maze looking for their cheese, which kept moving. While Sniff and Scurry kept moving forward to find their cheese Hem and Haw hemed and hawed. Those of us in the reverse mortgage industry as well as you, prospective borrowers, are in the maze and the FHA insured, Home Equity Conversion Mortgage or HECM reverse mortgage is the “cheese” that is moving. We don’t know exactly what direction the HECM will take, what we do know is after The Reverse Mortgage Stabilization Act of 2013 was passed giving HUD authority to make the changes to improve the fiscal safety and soundness of the program, changes will be taking place with reverse mortgages in the very near future. The amount of the principal limit or maximum funds available to borrowers will be less. Additionally we expect that borrowers may be restricted on the amount of money they can draw up front. Financial assessments will be implemented to determine one’s ability to pay taxes and insurance. Borrowers may be required to set aside funds for taxes and insurance payments. Some homeowners may no longer qualify for the reverse mortgage based on these changes. As the characters in “Who Moved My Cheese?” reacted differently, we are all going to be reacting differently to the changes. Which character are you going to be like? Are you going to be like Sniff and Scurry who saw the changes coming and take action and move forward now? Or like Haw and realize if you stay in the same situation you could be worse off than if you take action now? Or are you going to be like Hem and let your fear keep you waiting too long for the most funds available and/or long enough you may not qualify for the new program? 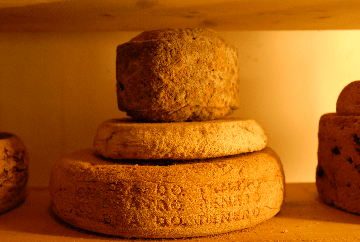 Age only matters if you’re cheese… or doing a reverse mortgage. My suggestion is if you, or someone you know, are considering a reverse mortgage, do not let your fear keep you from moving forward. Be like Sniff and Scurry and move forward now to find the “cheese” and take advantage of the current reverse mortgage program before the changes go into effect so you still receive the biggest benefits. If you are in Minnesota and want to ensure you are locked into the current reverse mortgage program before it changes, please contact my office to answer your questions and to assist you. For other states contact your local reverse mortgage originator for assistance. And for me, I’m taking the paths of Sniff and Scurry, by accepting that changes happen, anticipating the changes, as well as adapting to the changes as they are necessary for the survival of the reverse mortgage program. As I wrote when some lenders exited the reverse mortgage industry, We Are Not Chicken Littles – The Sky Is Not Falling, the reverse mortgage will remain a viable option but it will be different than it is today. I will continue to be here even after the changes have taken place to assist seniors to remain in their home and have funds for their needs and wants through reverse mortgages.